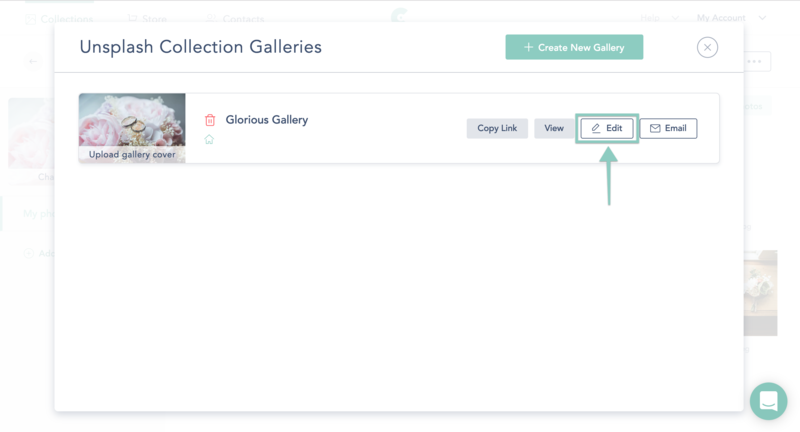 To visit your Gallery Settings, click your collection and then click on “Galleries”. In the popup, click "Edit" next to the Gallery you’re working on. In your gallery settings, click on the "Sales" tab. 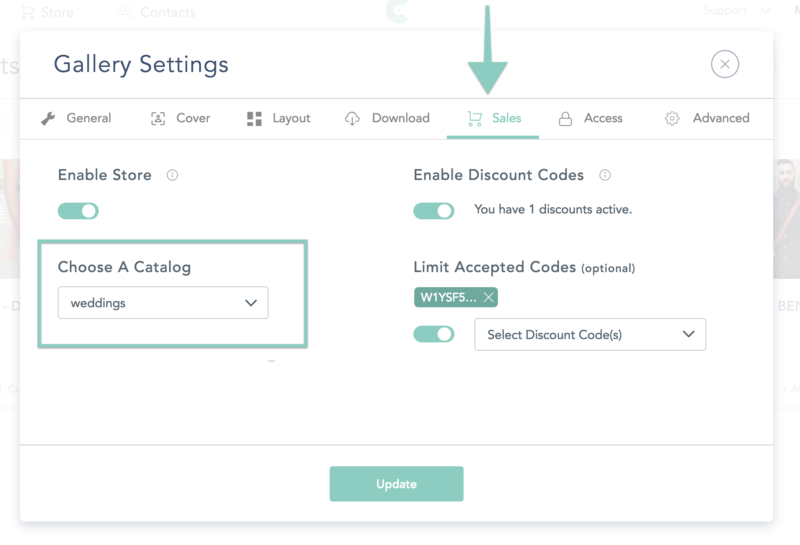 When you enable your store by adjusting the toggle to "on", you'll see a drop down to select a Price List/Catalog as well as enable discount codes.